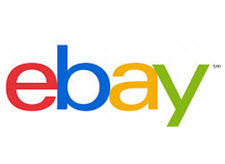 Readers are asking us questions about eBay's new practice of collecting state sales tax for Washington and Minnesota (it began collecting Iowa state sales tax this month), as required by Marketplace Facilitator Laws. eBay has not yet replied to our inquiry sent last week. Many sellers who buy inventory for resale have obtained resale certificates that allow them to make tax-exempt purchases, but sellers in Washington State say eBay is charging them sales tax on their purchases regardless. On Thursday, a reader said, "Bad enough that I am being charged WA sales tax on items bought for resale, but also being charged 10% when the actual rate for my location is 8.6%." We're still hearing reports that users are having problems with the way eBay is collecting Washington State sales tax, so we sent an inquiry to its Department of Revenue (DOR) today. We asked if there were problems on eBay's end and what buyers could do in those cases. "We can't by law talk about specific businesses and if or how much they collect. We also can't speak about a business' practices. At this time, purchasers should contact the seller about any incorrect sales tax collection. If there is no resolution, the purchaser can apply to the Department of Revenue for a refund." That advice could make things worse, since *sellers* aren't the ones collecting Washington's sales tax and are in no position to do anything about it. One seller has already said he's had several angry customers from Washington contact him complaining they were overcharged. On the DOR website, it advises consumers who believe they have paid sales tax in error to "first seek a refund directly from the seller" because the seller has records to verify that sales tax was paid, etc., and says it "may" grant refunds of sales tax directly to consumers in certain cases. We hope the state will update its website to reflect its new requirements around marketplaces! Even if eBay is collecting state sales tax for Washington, Minnesota, and Iowa 100% correctly under the new Marketplace Facilitator laws, eBay sellers are spending a lot of time worrying about the ramifications of the new practice. Just read this thread on the eBay boards, "What we Need as Members to Enhance the Sales Tax Collection process by eBay." The original poster said they'd appreciate a report that shows by state what taxes were collected on sellers' behalf. Another poster shared a tip, saying sellers could use eBay File Exchange to download sales reports, saying File Exchange could be difficult to use for uploading listings, but was easy for downloading reports (good to know!) - see post #74. "In closing, most sellers do not generally need to figure out the tax rules that apply for states where eBay is collecting and remitting sales tax - eBay is taking over this process for the seller and while a seller should still address buyer concerns by directing them to eBay resources, additional questions can be handled by eBay Customer Service or by the buyer contacting the state tax authority. Some sellers may need to look further into these regulations, particularly for states where the seller has revenue from sources outside of eBay. A local tax authority is the best resource for additional questions." And in post #94, he wrote that reports for sellers were "definitely something on our radar. I am not able to provide a timeframe, but reporting tools are a top priority for us to provide for our sellers." Sellers have also been discussing the issue on the AuctionBytes Blog. Up next: Connecticut, New Jersey, Alabama, Oklahoma, and Pennsylvania. "Since the facilitator is the agent for the seller, we mean that they should contact the marketplace facilitator. We will be taking a look at our website to see if and what needs to be updated. "Another point to note: The issue of items being purchased for resale is a different issue. We have a deduction from sales tax that businesses take on their combined excise tax return called tax paid at source. Our answer was directed at consumers, not businesses." Also: EcommerceBytes think it's worth noting that the Marketplace Facilitator laws were supposed to take the burden off of small businesses and individuals selling on online marketplaces. Constructive comments about what challenges you're facing and what the states and marketplaces could do to alleviate them are welcome. Don't assume non-sellers understand how difficult and anxiety-inducing this can be. Update 2/12/19: Here's a post on the eBay boards from a seller today who says eBay is charging Washington buyers sales tax for certain coin and bullion purchases that are EXEMPT from sales tax. And so it begins. It is disingenuous for the Washington Department of Revenue to advise contacting the sellers when the sellers never saw the tax money to begin with. I can envision hundreds of buyers contacting the Department of Revenue for a refund (which will most likely cost the DOR more to process the refunds than what they are receiving from small sellers in taxes). It is going to get out of hand very quickly. I noticed some Chinese sellers (shipping from California, but registered in China) charging 8% sales tax in every state, including those who do not have a sales tax and those where the tax is more than 8%. Who is policing them? The listing says ''may be apply'', but I verified that it does apply. Check out seller torchforest1996_2 as an example. It just occurred to me - is the tax table above an example of how eBay helps Chinese sellers set up warehouse shipping from California and maybe also helps them with a sales tax template - even if they have no idea what they are doing? eBay, you're late to the party! Etsy has been collecting marketplace sales tax on sales to Washington for 13 months now. If nothing else any smart seller or buyer will stop buying on ebay period. Ya all know this is happening yet you still participate and then cry about it. SO WHY ARE YOU STILL USING EBAY TO BUY. As far as anyone knows of the thousands of dollars ebay will steal from you they will only send a few pennies on the dollar to the states. I had it collected by eBay for South Carolina. South Carolina? That is one state that I had not heard was collecting the tax. And no, I don't live in South Carolina. These states created this mess. Let them clean it up. Unsurprising. If other states are like mine, they don't have the wherewithal to implement the changes with their technology strategies. PA's is "hire offshore coders at minimum 10X the cost, don't supervise them or review their work at all for several years, then pay them again to rewrite what they wrote wrong the first time." Their thinking (LOL, politicos thinking) clearly did not extend beyond "gimme gimme." "Bad enough that I am being charged WA sales tax on items bought for resale, but also being charged 10% when the actual rate for my location is 8.6%." I think we all know where that extra 1.4% is going. And yet none of these taxes, or the collections thereof, are Constitutionally legal across State lines as they definately qualify as an 'export tax' - the Supreme Court ruling does not over rule the Constitution of America. The Export Taxation Clause was one of the many accommodations that the Framers made to cement unity among the various sections of the union. Many of the Southern delegates at the Constitutional Convention regarded the clause as a prerequisite to gaining their approval of the Constitution. As the primary exporter of goods in the late eighteenth century, the South would have borne a disproportionate burden from export taxes. In addition to their disproportionate burden argument, George Mason voiced the South's fear that a tax on exports would create a mechanism through which the more numerous Northern states could overwhelm the Southern states' economies. They also worried that export taxes could be used indirectly to attack slavery. They were joined by Northerners such as Oliver Ellsworth, who declared that export taxes would stifle industry. In response, some of the most distinguished delegates at the Convention, including James Madison, Alexander Hamilton, George Washington, Gouverneur Morris, and James Wilson, favored export taxes. They argued variously that export taxes were a necessary source of revenue, that they were a necessary means for the federal government to regulate trade, that they could become a necessary source of income for the central government, and that the South's disproportionate need for naval protection justified its disproportionate share of export taxes. Attempts to limit the absolute prohibition on export taxes failed. James Madison's attempt to require a supermajority for passage of an export tax was barely defeated by a 6–5 vote. The absolute prohibition on export taxation then passed by a 7–4 vote. It provoked little discussion during the ratifying conventions. Cases interpreting the Export Taxation Clause have made clear that the clause ''strictly prohibits any tax or duty, discriminatory or not, that falls on exports during the course of exportation,'' and that the protection extends to ''services and activities closely related to the export process.'' United States v. IBM Corp. (1996). Unlike its analysis of Commerce Clause cases, the Court has kept distinct what is intended for export and what remains available for local trade. Although a product may ultimately be intended for export, the Export Taxation Clause does not prohibit federal taxation of goods and services before they enter the course of exportation, or even of services and activities only tangentially related to the export process. Thus, the Court has invalidated taxes on bills of lading, ship charters, and marine insurance; but it has upheld federal assessments on preexport goods and services, such as an excise tax on manufactured tobacco, a tax on the manufacturing of cheese intended for export, and a corporate income tax on exporters. Although the Export Taxation Clause was integral to the evaluation of numerous levies between 1876 and 1923, the clause did not make its way back onto the Court's docket until 1996. After over seven decades of obscurity, the Court utilized the Export Taxation Clause twice between 1996 and 1998 to strike down federal tax statutes. In United States v. IBM Corp., the Court relied on the Export Taxation Clause to strike down a nondiscriminatory federal excise tax on insurance premiums paid for the purpose of insuring goods against loss during exportation. The Court also expressly rejected the government's arguments that the dormant Commerce Clause and Import-Export Clause jurisprudence altered or governed the interpretation of the Export Taxation Clause. In United States v. United States Shoe Corp. (1998), a unanimous Court relied on the Export Taxation Clause to strike down, to the extent it applied to exports, the Harbor Maintenance Tax. The tax was an excise imposed on any ''port use.'' The Court rejected the government's contention that the charge was a valid user fee rather than a tax. Although the original purpose of the Export Taxation Clause was to prevent sectional favoritism by Congress, the Court has chosen to enforce the flat ban that the Framers placed into the Constitution's text, rather than seeking to measure an export tax's discriminatory effect. Under the Commerce Clause, Congress retains the power to regulate exports, even to the extent of creating embargoes. It may not, however, utilize export taxes as a means of regulation. @smallstuff - The 8% you quoted being charged for California is wrong! The base tax rate for California is 7.25%, which is what I charge my buyers in California (set for my eCrater store). When I do my taxes, any county that's over that I personally pay, since it usually only amounts to pennies. I don't know what you can do to stop this thievery because we all know that eBay will just pocket the extra .75% that they collected, not to mention all the other tax money the are collecting for the seller you identified. Maybe you can file a fraud complaint with the California Department of Tax and Fee Administration. @JackSparrow - I'm also in California and charge the base rate. Until I filed my sales taxes last year, I had also been paying the difference, which never amounted to much. Due to the screwed up CDTFA web site, I ended up going in to their local office where I learned that I'm not *required* to make up the difference! In October, I verified this with one of my customers who works for CDTFA (I think he's an attorney). Technically, the online customer should be paying the difference, but (as my customer said) you know how that goes. @iheartjacksparrow - The point was that this California seller is charging 8% for shipments to every state even those states with no sales tax. I don't know if eBay is collecting the money. I suspect the seller is keeping it all. How can you tell? When I ship to my own state, eBay charges the sales tax and PayPal passes it on it to me. They don't keep it. I pay the sales tax at the end of the year but there is no way to tie the taxes to eBay sales. @smallstuff - I understand that the seller in question was charging tax for other states as well, illegally in many cases. I singled out California as I live there and know what the tax rate is for online sales, plus you mentioned the seller was shipping from California. I'm sure you can find the contact information for other states' taxing authorities and file complaints with them as well. I don't know about Washington, but in the other states where I've lived the vendor isn't obligated to honor a sales tax certificate, and procedures exist that allow the vendors to deduct the tax paid from the total they remit at year end. It is not unconstitutional to charge and/or collect sales tax. The constitution talks about export taxes and the state sales taxes have NOTHING to do with that. They are for items imported into a given state. That is what makes it fine in regards to the constitution. It would be different if the sellers were assessed the sales tax because they are exporting from one state into another. But that is not how sales taxes work. You actually answered your own concerns when you posted this. Sales taxes are NOT export taxes. I charge california tax. that's all i will ever charge. If ebay or amazon or etsy or any of these people want to collect tax..that's on them I have nothing to do with it. This whole thing is stupid, no state should have the power to collect tax from another entity in another state, the supreme court was wrong on this and it needs to be revisited promptly. All these poor states should be going after their own sellers tax..not entities in other states. Like I always said, if I go to texas and im from ohio..I can't demad texas gas station to charge ohio taxes and send them to ohio. For sales tax, everything works fine until you have a cross-state transaction. Even for those, laws were put in place to cover that situation, limited as it was during the time. The problem today for states is that so much commerce is moving state to state, and purchases that would normally be taxed if made in the home state are not, no money going to either state's budgets. With so much e-commerce, it's like a vacuum sucking out the revenue. States used to depend on that, and brick and mortar sales tax amounts must be seriously declining. The states have bills to pay - they will just find the money elsewhere if they can't collect the sales tax. This is on top of the fact that the purchase money leaves the local economy. I imagine that some states are experiencing a greater flow of retail dollars and some are on the losing side. That translates to jobs won and lost, economies surging or deflating, depending on which end of the scale you are on. Personally, I favor a national sales tax that goes to a central accounting office. Then it would be apportioned back to the states based on some formula, much like lottery revenue in states goes back to the cities and towns. A national sales tax could be one set rate, not dependent on locale, and you wouldn't need Watson to figure it out. I don't know about you, but when I sell and ship an item of merchandise from my State to a customer who purchased it in another State, I am definately EXPORTING across State lines to another State. I agree the customer residing in the State where it was exported to may be liable to pay his/her own State sales tax for the purchase as per their own State, but that's not an issue anyone EXPORTING from another State, especially States like Oregon where there is no Sales Tax, should be dealing with, collecting or remitting to all 50 States. There are sellers on ebay now collecting Sales Tax for States that don't even have a Sales Tax - clearly this is a gold-rush of fraudulent tax collection and there's no authority in place to stop it as far as I can see - 8-10% 'sales tax' collected on massive amounts of sales for the next few years and never remitted to a particular State will make some people very rich quickly. So be it - the irony is after nearly 2 decades of selling online it is becoming more profitable to go back to cash-only (no sales tax...ho ho ho) trade shows/fairs, swap meets, yard sales and stalls in Antique malls. Whoever would have thought we'd return to what we thought we'd left behind for good as it's lss hassle now and more profitable.